Genre Theory is a body of discourse that overlaps in many ways with the key concepts involved with networks, particularly nodes and connectivity. One way to understand the relationship between genre and network is through the lens of Charles Bazerman’s systems of human activity in which he has situated genre as discussed in “Speech Acts, Genres, and Activity Systems” (311). He argues that all human activity is comprised of hierarchical, embedded categories. Like a set of Russian nesting dolls, human activity can be opened to reveal genre systems, which are in turn made up of genre sets. These sets contain within them what we understand as genres. Genres contain speech acts, and speech acts hold within them the smallest, indivisible category, social facts. The relationship between these categories functions much in the same way as do the various elements in networks. We can understand Bazerman’s “systems of human activity” to be a network. It consists of nodes, or categories, that relate and connect to one another, allowing the network to function. However, because each category itself can consist of many examples, it is also possible to think of each category as a kind of sub-network with its own nodes. This understanding of genre-as-network can be applied to an object of study to reveal its previously unexamined aspects and provide new avenues of scholarship. In this case, the object of study is the Underground Press Syndicate (UPS), the free content-sharing network of underground press publications operating between 1966 and 1973. How does the theory define the object of study? What are network nodes? How are they situated in the network? The diagram shows interconnected clusters of nodes correlating to Bazerman’s categories. Each cluster is like a sub-network because the nodes there are “intertextually linked” (Bazerman 79, “Systems”). These sub-networks build upon each other to ultimately form a network of human activity. All human activity begins with social facts, “those things that people believe to be true” (Bazerman 312, “Speech Acts”). In the late-1960s, the counterculture understood social facts revealing to them the truths of segregation, the draft, and President Nixon to name a few. These social facts elicited reactions, responses, and utterances that when compiled made up a network of speech acts; typically these speech acts expressed various concerns for equality, personal freedom, and political reform. Underground journalists articulated these speech acts in recognizable patterns, or genres, such as the editorial, satirical cartoon, or even a creative poem - each type of document a node in a network of genres. Writers and illustrators collected these generic examples, as genre sets, into publishable newspapers and magazines. Each title or set a network connecting people and content, but also a node in a genre system. The UPS and other organizations like Liberation News Service (LNS) and Alternative Press Syndicate (APS) collected these genre sets, as genre systems, in order to redistribute their content to members. These genre systems produced social actions including disseminating information, creating a connected and informed public, and inciting protest activity. These social actions exist as nodes of human action in the network of human activity. Situated thus, the news-sharing network of the UPS is understood as a genre system. However, genre theory also revolves around the idea of discourse being classifiable according to “conventional forms”. We understand that these forms take their recognizable shapes because they “arise in situations with similar structures and elements and because rhetors respond in similar ways, having learned from precedent what is appropriate and what effects their actions are likely to have on other people” (Miller 152, "Genre as Social"). Consider how the UPS resembles another example of this type of network, the Associated Press (AP). Both organizations emerged from similar situations where information for print media sources was not readily available beyond the region in which the paper worked. This need was responded to by the journalists (or rhetors) who organized themselves as members of a collective to gather and distribute news to all involved. The UPS learned from the precedent set by the AP, and the AP based itself on the rapid information sharing system used by the Pony Express that came before it (“AP’s History”). Therefore, the theory would also define the UPS as an example of the forms belonging to the genre of information dissemination practices. Lastly, the UPS is also a genre in the sense that it performed activity in the community, an essential aspect of genre for Miller, Bazerman, and Popham. Popham argues that genres are how “ideas get transmitted” in society (281-2). Blumer quoted in Miller also argues that “social action exists in the form of recurrent patterns [genres] of joint action [collaboration across a network]” (158, "Genre as Social"). The UPS certainly transmitted ideas, often the only way for communities to become informed about what was happening in another “radical community” (Wachsberger qtd. in McMillian 46). This sharing of ideas, narratives, satire, and news, following reoccurring patterns of the information dissemination genre, was essential to Blumer’s social actions that were necessary to the growth of the cultural revolution. Here again, the UPS slides easily into the definitions and social roles that the theorists argue are essential to genre. What types of agency are articulated for various types of nodes? For the journalists and illustrators creating content, agency was involved in determining which social facts are encountered and considered, what speech acts are formed, what genres are used for expression, what would be included in the publications, and what would be submitted to the UPS. The editors at UPS would determine what to include in the redistribution packets. The member newspapers would then have agency in selecting items from the packet to reprint in their publications. This suggests that agency is both restricted by selection and editing and available by those same processes. In Genre Theory, this same limited and open agency exists. Bazerman explains that all speech acts have multiple intentions and interpretations (87, “Speech Acts”). Here genres have independence through multiplicity; it is up to the speaker/writer and the listener/reader to determine intent and comprehension. This is similar to the way members and editors can choose to include or exclude content that is deemed valuable or irrelevant. Ron Cobb's cartoons collected in this book. Cobb's submissions were reprinted widely through UPS. However, Bazerman also points out that there are rules and laws that govern how content is formed and organized (81, "Speech Acts"). These constraints allow an object to be recognized as belonging to a particular genre, but these precedents limit agency. For the UPS, the process of selection and editing also limited the choices that others in the network could make. What are the types and directions of relationships between nodes? Nodes in Genre Theory are related to one another by way of repetition and overlap. As Miller explains above, genres are based on similar responses to similar situations following precedents (152, "Genre as Social"). The similarity and following of precedent suggest that genre are repeated and copied. Since UPS copied the precedent set by AP and was a similar to the LNS and APS responses to the marginalization of radical voices, the repetitious relationship between these nodes is seen. Another type of nodal relationship is overlapping, as expressed by Popham as “boundary objects”, which serve “the needs of multiple sites or multiple professions by being both flexible and stable” (284). Since the UPS distributed already published content for reprinting in different titles, we can understand the packets sent out to members as a type of boundary object that allowed multiple sites to use information adaptively. The UPS was a stable force that allowed for the flexible use of content. Like creative commons images, boundary objects can be used by many users for many purposes. The UPS members submitted work for free use by others also like creative commons images. Examining the diagram based on Bazerman’s work, the relationship between the node moves unilaterally toward human activity; however, it could be argued that the activity produced at the culmination of the network would then bring about new social facts. In that regard, the direction could be understood as cyclical. What happens to content or meaning as it travels through a network? Genre Theory is focused on the action that it performs. Miller explains that genres help “communities do their work and carry out their purposes” (75, “Rhetorical”). As content traveled through the UPS, it produced action. As Wachsberger explained, the UPS allowed for otherwise disenfranchised communities to connect to and learn from other communities. This connection often led to a reinforcement of countercultural values. The inclusion of content from other newspapers could also lead to a professionalization of a title, increasing significance then circulation (Sink). When the underground press publications gained visibility and readership, the ideas expressed within the pages inspired and informed communities and became a platform for activism - the very effect of genre noted by the theorists. How do networks emerge, grow, and/or dissolve? Genres and genre-based networks grow as a response to social facts as Bazerman explains. Spinuzzi argues that genres are oriented toward history, emphasizing the role of tradition in building genre (42). In this sense, genres are built through historical and traditional influences, moving in a stable direction based on past movement. Bazerman also suggests, through his ideas about multiple intentions and interpretations, that the network will emerge and move in new offshoots as nodes are utilized differently by different people. As genre forms become no longer relevant (like telegrams), then those areas of the network dissolve. As social facts change, what a person or group believes to be true changes, then new speech acts will revise previous utterances. This will then revise areas of a network or make them obsolete. Telegraph equipment rendered obsolete in the communication network. Now housed in a museum. The UPS grew and developed as a response to the genre sets and their need to reach wider audiences more rapidly so social action could be encouraged. It grew as a result of the available technology and emerged in new directions with each new member publication contributing and receiving material. The UPS as a network of information dispersion, like the Pony Express, has also become a dissolved network. As the underground press publications flashed and went dark across the scene, the need to disseminate the information also faded. The counterculture was able to spread through mainstream media channels as the decade wore on and transitioned into the 1970s. 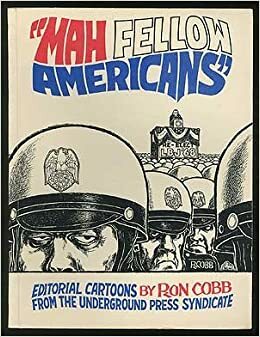 As the social facts changed - Civil Rights Act of 1968, withdrawal of troops from Vietnam, the end of the draft in 1973, broader acceptance of the movement - the kind of speech act responses also changed and no longer found the need for radical expression in underground publications. Ultimately, this analysis reveals that contrary to the popular characterizations of the counterculture movement as chaotic and revolutionary, there are actually strong, recognizable traditional structures operating at the core of the UPS. It follows patterns set by history and tradition. The application of this theory to the UPS network focuses on alternative distribution more than alternative content because the node of UPS belongs to the genre system of information distribution (like AP), so content is not discussed readily. This is a very interesting and new way to think of the underground press, which is so closely associated with the content - the articles and cartoons, the style and the political action. However, genre theory allows a glimpse at the processes at work beneath the pages of the individual titles. We can see the UPS functioning as a piece of human activity, with roots in all human activities related to the sharing of information - a descendant of the Pony Express and a precursor to wireless communication. It allows for the UPS to be situated in the wider scope of human communication systems and the human desire to be connected. There are fruitful avenues for further study here as yet more legitimization of underground press scholarship as a significant cultural, human, and historical artifact. "AP's History." Associated Press. Web. 11 Feb. 2014. Bazerman, Charles. “Speech Acts, Genres, and Activity Systems: How Texts Organize Activity and People”. What Writing Does and How It Does It: An Introduction to Analyzing Texts and Textual Practices. Eds. Charles Bazerman and Paul Prior. Taylor and Francis e-library, 2008. 309-340. Print. ---. “Systems of Genres and the Enactment of Social Intentions”. Genre and the New Rhetoric. Eds. Aviva Freedman and Peter Medway. London: Taylor and Francis, 1994. 79-104. Print. McMillian, John. Smoking Typewriters: The Sixties Underground Press and the Rise of Alternative Media in America. New York: Oxford UP, 2011. Print. Miller, Carolyn R.. “Genre as Social Action”. Quarterly Journal of Speech 70 (1984): 151-167. Print. ---. “Rhetorical Community: The Cultural Basis of Genre”. Genre and the New Rhetoric. Eds. Aviva Freedman and Peter Medway. London: Taylor and Francis, 1994. 23-42. Print. Popham, Susan L.. “Forms as Boundary Genres in Medicine, Science, and Business”.Journal of Business and Technical Communication 19 (2005): 279-303. Print. Sink, Suzanne. “Inquisition - Charlotte, NC”. Southern Underground Press. Web. 10 Feb. 2014. Suzanne, did you not publish the comments from your classmates? If not, can you email them to me?